Members of the Liberal Democrat Party in London have criticised the Mayor of London’s support for electric vehicle charge points, claiming that as many as three quarters of those installed in the capital are not used. Source London – the capital’s publicly available electric vehicle charging network, which is partly funded by the Department for Transport – was launched by Boris Johnson in May 2011. Improving air quality in the capital by encouraging the uptake of low emission vehicle usage is among its goals. Figures on the scheme released by the Mayor’s office in response to a question raised by the Liberal Democrats show that in the last three months of 2012, only 198 of the then 800 existing electric charging points were used. The scheme has since been expanded to include 1300 charge points across the city, which the Liberal Democrats say could be better spent in other areas. Liberal Democrat London Assembly member Stephen Knight has urged the Mayor to consider changing the focus of the scheme to investing in low emission buses and taxis, as he says this will have a greater positive effect on air quality in London. Mr Knight said: “It is quite clear that Source London is failing to have much impact. A growing network of charging points, which are aimed primarily at private, electric cars, clearly has long term merit, but the Mayor’s number one priority must be to switch London’s 20,000 diesel taxis and 8,500 diesel buses to electric power. “It is these diesel vehicles which clock up the most miles and make the greatest contribution to air pollution, especially in central London. Responding to the comments, Source London said that the network will be used more regularly once the technology becomes more popular with drivers. John Mason, Director for Source London, said; “Since its launch over 1,300 publicly accessible charging points have been installed across the capital as part of the Source London scheme, making it Europe’s largest charging network. We’re putting in the infrastructure now so that motorists know there is somewhere convenient to recharge their vehicle and ensure there is capacity as electric vehicle use becomes more commonplace. 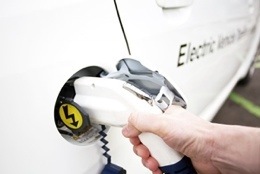 In September 2012, MPs on the Transport Select committee criticised the government’s plug-in strategy for not effectively encouraging a strong enough uptake of plug-in vehicles in the UK (see airqualitynews.com story). Boris responds to LCDC request to write to all London MPs to fight Law Commission proposals. After recent Mayoral meeting where LCDC Chair Grant Davis asked Boris to support cab trade with the Law Commissions review, he promised to write to ALL London MP’s. As I am sure you are aware, the Government has tasked the Law Commission to review taxi and private hire services in England and Wales. London taxis and their drivers are renowned the world over. Before becoming licensed, drivers must complete the world-famous Knowledge of London which takes, on average, four years to complete and equips them with an in-depth knowledge of the capital’s streets. This 300 year old service ensures that your constituents can travel safely, and by the shortest available route; and all 25,000 London taxis are wheelchair accessible. These high standards are what sets the London taxi trade apart from the rest of the country and this is exactly why we must ensure that the Law Commission does not make recommendations which dilute the trade, or flood the capital with minicabs or taxis licensed outside of London over which Transport for London (TfL) has no powers. Currently, taxi and private hire licensing is carried out at a local level, and the needs of each area are reflected in the standards set on drivers, operators and vehicles. However, the Law Commission is recommending some proposals which will nationalise standards across the country, allowing private hire vehicles to be licensed anywhere in the country and operate in London. We need to make sure that our London taxi trade remains both the pride of London and the envy of the rest of the world, and that the proposed changes do not detract from this. Therefore, I would urge you to write to the Law Commission, reminding them that London is different from the rest of the country and why the current system should be maintained. 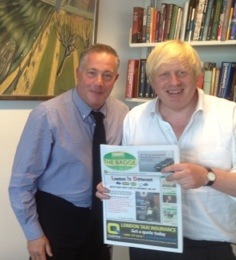 I would like to thank you in advance for your support and hopefully together we can protect London’s historic taxi trade, its iconic vehicles and its trusted drivers, which are very much part of the capital’s landscape. What’s The Biggest Obstacle To Google’s Driverless Cars? Maybe The Taxi Drivers? A long running theme of mine is that we can’t have nice new things because the people who supply us with the old ones won’t allow the competition. We’ve left too much regulatory power in the hands of the incumbents in many businesses. My current poster child for this argument is Uber: they’ve had to spend a year just to get permission to offer a smartphone app to hail a cab. Quite seriously part of one court case to refuse them access to the market was that older people are less likely to have a smartphone and therefore this was age discrimination. Now imagine a mash-up of this popular model and Google’s self-driving car technology. The car-sharing fleet could be retrofitted with self-driving navigation systems. (Let’s call the hypothetical startup company “Car2Google.” Of course, other car-sharing services like Zipcar or even traditional rental car companies could jump into the game.) Layering self-driving technology onto this system would allow people to order a car from a fleet and have the car pick them up. It’s a taxi service without the drivers. Users would summon a car with their phone and wait comfortably indoors. The car would call or text them as it approaches. Users would then hop in, talk on the phone, or nap while the car drives to their destination. Once there, they can just walk away. The service charges their credit card an amount based on the time or length of the trip. This entirely destroys the taxi business of course. Or at least it entirely destroys the business of driving a taxi. For if the streets are full of cars without drivers that can be hired by the minute or the hour or the trip, then what need is there for anyone to actually be driving such a vehicle? Actually, I think it’ll be rather fun to see how this goes. From the Uber case we do know that the taxi industry is powerful, even if not all powerful. So I’m absolutely certain that we’ll see attempts to make sure that such driverless cars cannot just be allowed to replace taxis. The interest will come from the arguments that are used to attempt to prevent the adoption of the technology. I could imagine someone arguing that even though the car can drive itself there must still be a driver. You know, just in case. I can also imagine the taxi companies arguing that all such cars should have to have a taxi shield: but that there should be no increase in the issuance of shields at all. thus the driverless cars would all have to belong to the people who own the taxi shields. Or rather, private owners can have driverless cars but those available for public rental must have a shield. That would of course be immensely profitable for the current owners of the shields. We can imagine higher demand for such rides, but they’d obviously be paying lower costs (no drivers!). So that’s definitely an argument I expect to see at some point in the next few years. That driverless cars for hire must have a taxi licence. Anyone think of any other ways the current taxi industry will try to fight back against being wiped out? A SPATE of thefts from taxis left unattended overnight in Hextable and Swanley has prompted a warning from police. Over the past 10 days thieves have stolen cash and personal items from a number of Hackney carriages parked outside victims’ homes. In Hextable, three taxis were broken into in Claremont Road on May 30. The thefts were reported to have taken place between 1am and 9am and items stolen included headphones, a men’s jacket and £50 cash. Between May 27 and 28, £20 was also stolen from a taxi parked in Glendale, Swanley. During each of the break-ins a window was smashed to gain access to the vehicle. 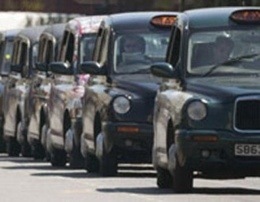 Kent Police is urging taxi drivers to ensure valuables are not left unattended in vehicles overnight. Detective Sergeant Gary Scarfe said: “We would like to remind anyone who owns a taxi cab to remove any valuable items from their vehicle overnight. “Thieves will also target any item which they believe may contain money or other valuables. Eco City Vehicles has benefited from the troubles of its rival taxi supplier, doubling its share of the licensed London market to 40 per cent and increasing its revenues by more than a third. 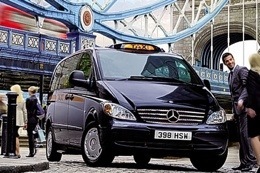 While the number of new cabs licensed in the capital last year was fairly static at about 1,400 – keeping the total number on London’s streets at around 22,000 – sales of Eco City’s customised six-seater Mercedes-Benz Vito van picked up strongly, as competitor Manganese Bronze went into administration. Manganese, which until five years ago enjoyed a monopoly in manufacturing the totemic London taxi, was brought low last year by IT problems and defects in steering boxes, which forced it to recall 400 cabs. The company was bought out of administration by Geely, the Chinese carmaker, in February but has yet to regain the momentum lost last year. Eco City, whose £40,000 six-seaters still achieve the 25ft turning circle required by London’s Public Carriage Office, also gained from the introduction of a 15-year age limit on London taxis. This sales boost has brought the company to the verge of profitability, its chief executive suggested on Tuesday. Trevor Parker was brought in by Eco City’s founders in April “to take the company to the next level”. On the down side, however, the London market is expected to open up further next year as Nissan prepares to launch its version of a London cab with a 25ft turning circle. Ahead of this, Mr Parker has launched a strategic review to look at diversifying into new cities and new business opportunities – such as servicing “blue-light” emergency vehicles. Eco City reduced its pre-tax loss of £2.7m in 2011 to £1m in the year to December, and sold a Coventry property for £2m to help cut net debt from £3.1m to £1m. It also raised £1.75m of working capital during the year, with Nigel Wray, owner of the Saracens rugby club, boosting his stake to just over 17 per cent. Excluding one-offs, Eco City earned £800,000 before interest, tax, depreciation and amortisation in 2012, against a loss of £900,000 the year before. Revenues in the year to December rose to £30.5m. The Aim-quoted shares, which reached a peak above 8p in 2008, rose 3.6 per cent to close at 2.15p on Tuesday, valuing the group at just under £10m. This notice provides the taxi and private hire trades with very important information on the processing of credit and debit cards. 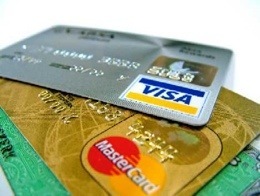 On Saturday 6 April 2013 ‘The Consumer Rights (Payment Surcharges) Regulations 2012’ come into effect. The regulations ban traders from “charging consumers more than the cost borne by them for accepting a given means of payment” which includes processing card payments. The regulations cover taxi and private hire passengers who pay by card and are being introduced following a consultation by the Department for Business Innovation and Skills. A copy of the consultation outcome, the regulations and guidance on the regulations are available on the Inside Government website here. New businesses and micro-businesses will be exempt from the regulations until 12 June 2014 but from this date the regulations will also apply to them. Broadly speaking a micro-business is one with fewer than 10 employees, this includes all self employed London taxi and private hire vehicle drivers. A new business is one which began trading between 6 April 2013 and 12 June 2014. If you accept card payments it is vital that you are aware of these changes and ensure that you comply with them. From the appropriate date you must not charge passengers more than it costs to accept and process a card payment. We currently set the maximum extra charge for card payments for taxi journeys at £1.00 or 12.5% of the metered fare and we have no intention to immediately change this prior to any formal consultation. This “extra” sets a maximum amount that can be charged when a passenger pays by card. However, taxi drivers and taxi booking companies can charge less than £1.00 or 12.5% of the metered fare and many already do so. Taxi drivers and taxi booking companies that accept card payments should be aware of how much it costs them to accept and process a card payment and from the appropriate date must not charge a passenger more than this amount. 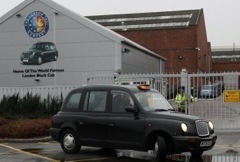 Workers at the London Taxi Company were understood to be attempting to lock themselves in at their Coventry factory last night after the insolvency accountants now running the business sacked more than half the workforce. The news of the sackings came hours after workers had read upbeat messages from PwC about the list of potential bidders for the stricken company. Late yesterday it emerged that PwC, the administrators of Manganese Bronze, which makes and markets the black cab through the London Taxi Company, said it would be making 156 workers redundant. It would leave just 96 workers on full pay with others sent home on standby. On Tuesday, Matthew Hammond, the lead administrator, said: “There has been an enormous amount of interest . . . those expressions of interest — domestic, from Europe and internationally — gave us a fantastic start and puts us in a better position than we might normally have been in at this stage.” Mr Hammond had also paid tribute to Manganese’s engineers, who he said “effectively hand-build” the cabs. At the Coventry plant where unrest was being reported last night, 99 workers were made redundant, with just 55 kept on. PwC said the retained staff would focus on finding a solution for the steering fault, which led to the withdrawal of 400 new cabs and the suspension of all sales. Manganese had been plagued this year by plunging sales and an IT-related black hole in its accounts. The other redundancies came at Manganese’s black cab dealerships in London, Manchester, Leeds, Edinburgh, Glasgow and Coventry.